On his eleventh birthday Thomas Farrell is informed that the deceased father he never knew has provided for his education at Darkledun Manor, a school for gifted children. Thomas, however, feels he's just an ordinary boy, but Darkledun Manor proves to be anything but an ordinary school. In this work of fiction, the listener is transported into a world of myth as the young protagonist, Thomas Farrell, seeks to understand who his mysterious father was, and why he left him a strange glass orb containing a serpent. As the story progresses, Thomas and his friends become increasingly caught up in a world they never knew existed - a world beyond the standing stones. On his eleventh birthday Thomas Farrell is informed that the deceased father he never knew has provided for his education at Darkledun Manor, a school for gifted children. Thomas, however, feels he's just an ordinary boy, but Darkledun Manor proves to be anything but an ordinary school... 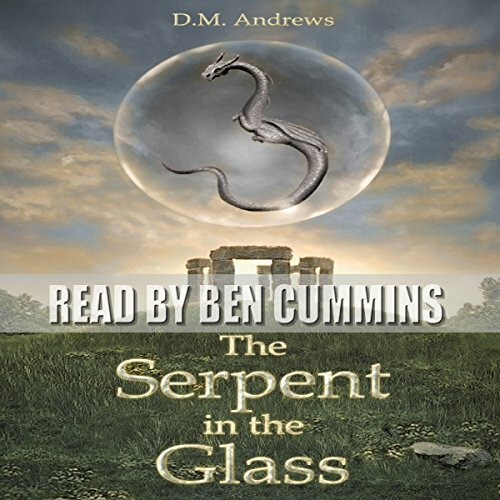 In this work of fiction, the listener is transported into a world of myth as the young protagonist, Thomas Farrell, seeks to understand who his mysterious father was, and why he left him a strange glass orb containing a serpent.